Historical reproductions are fun, but it is also nice to try and incorporate the techniques I've learnt in modern designs, for instance in a lamp. 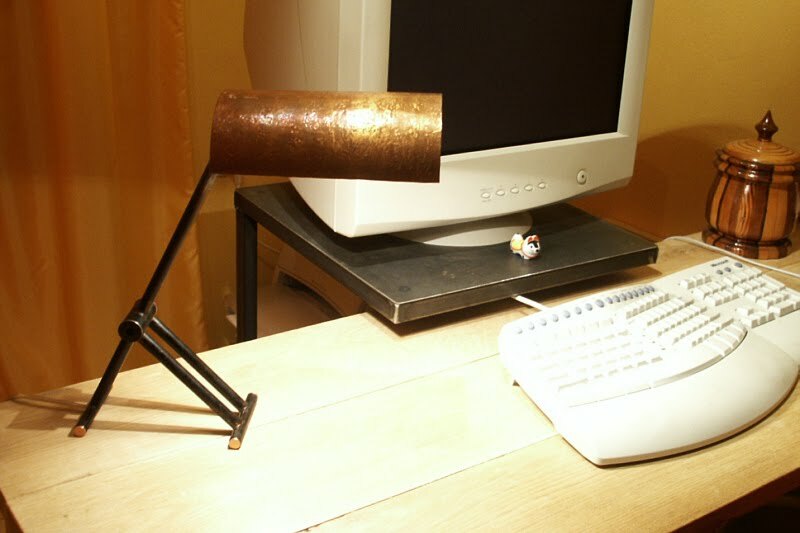 This lamp here has a blackened steel base and a copper patine shade. I've added a halogenic fitting and tin-plated the inside of the shade for warmer light.